An old friend has called you in to help investigate a string of recent murders. The latest victim was only missing one thing: their skin. 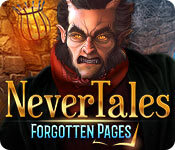 As you start investigating, you're quickly thrown into a world of dark magic and creatures. Do you have what it takes to find the murderer in time, or will you become the next victim? Find out in this bone-chilling hidden-object puzzle adventure!